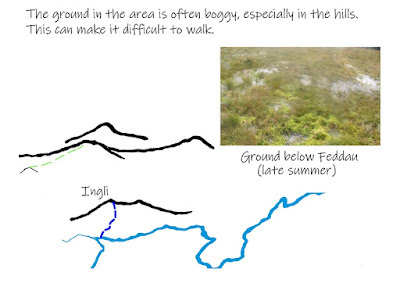 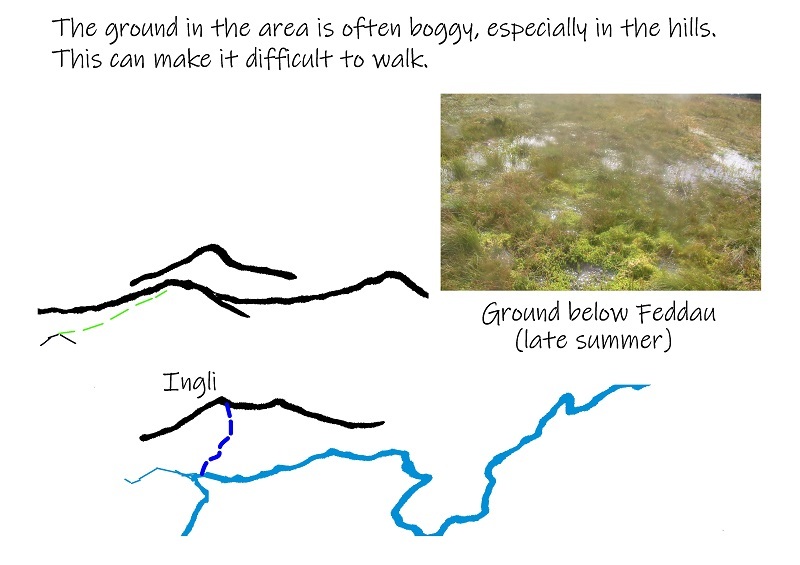 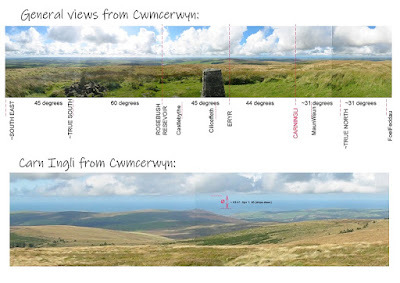 This post runs through the hypothesis that the Preseli Hills may have been used to find out the size of our world. 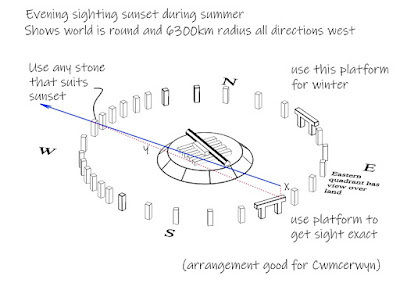 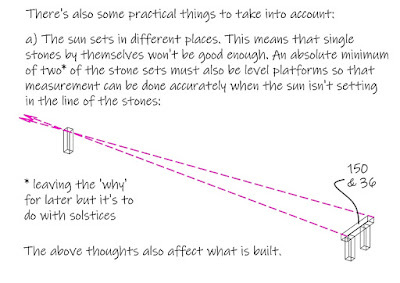 The shaped bluestones of Stonehenge can be assembled to create a system that can measure the size of the world. 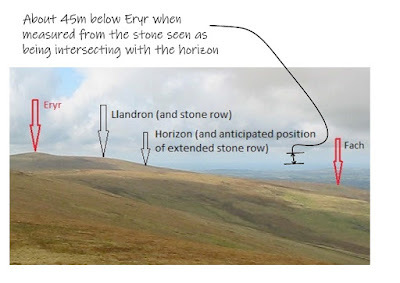 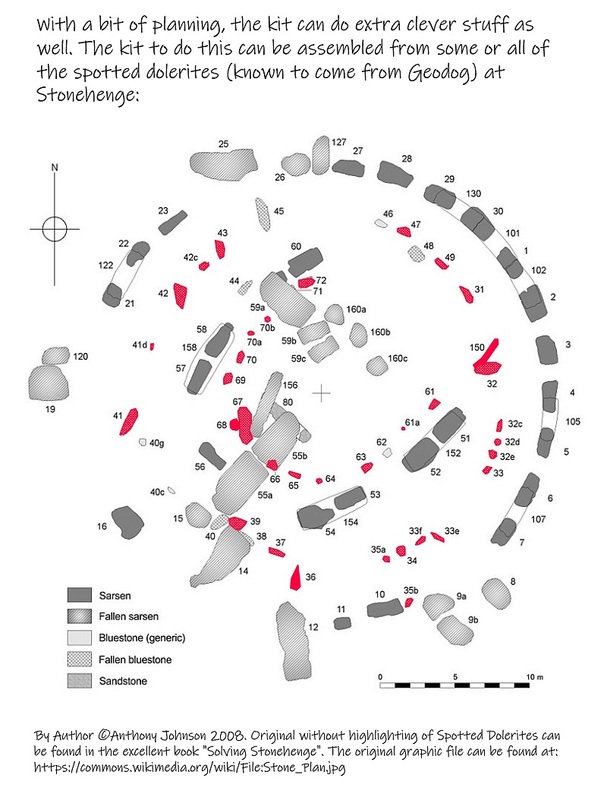 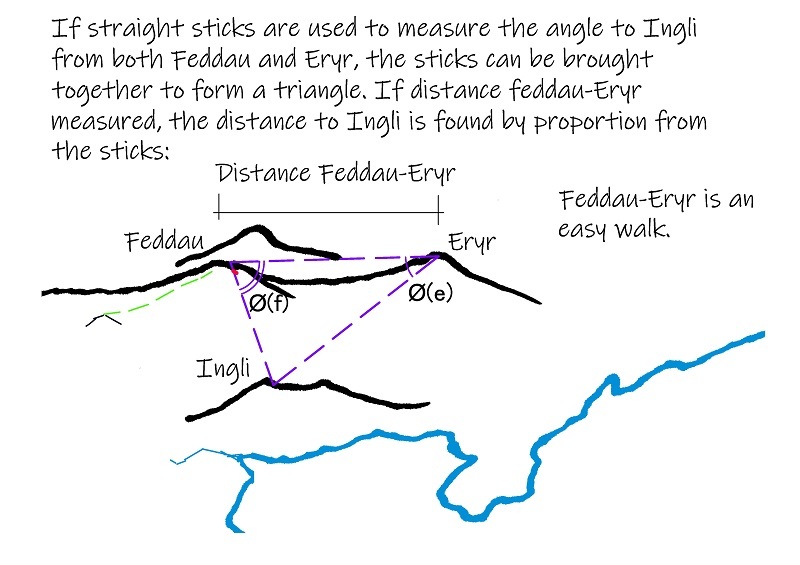 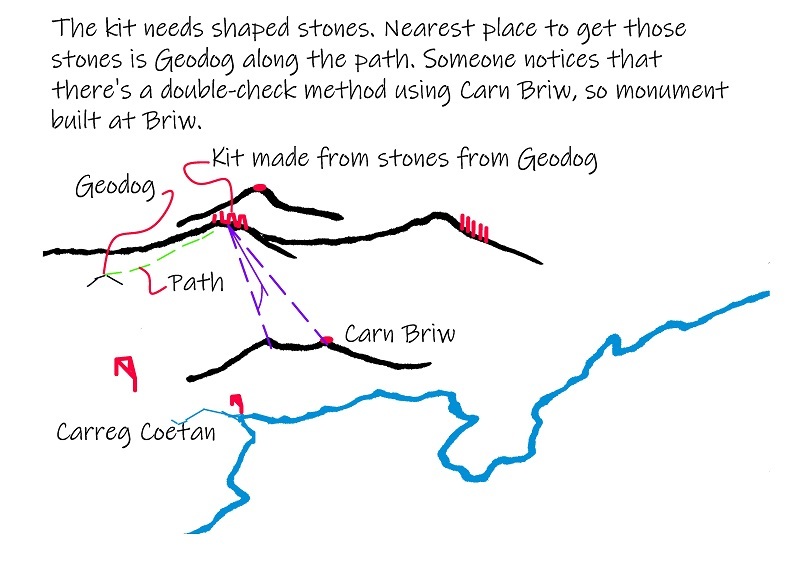 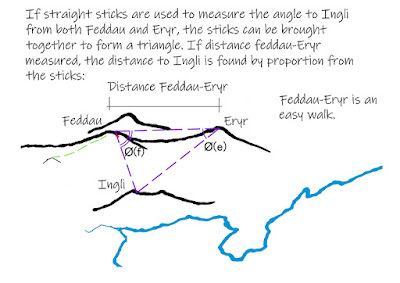 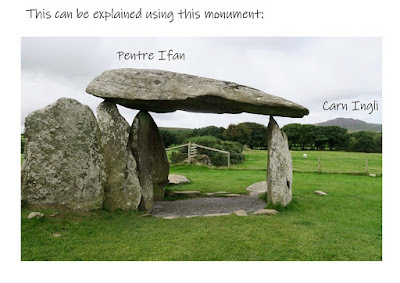 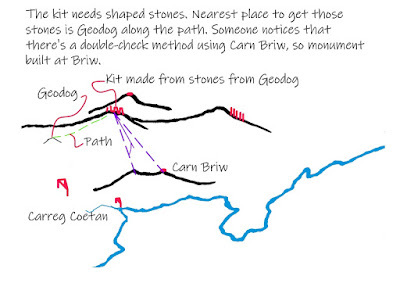 This hypothesis looks at the evidence that this may have happened in Preseli and that those stones were then transported to Stonehenge to commemorate that achievement. 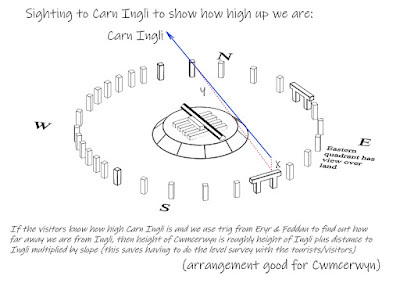 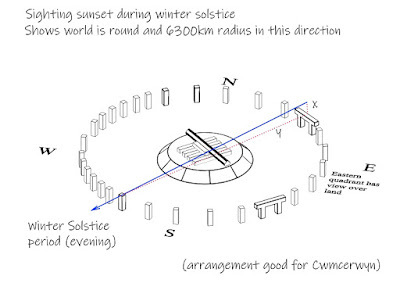 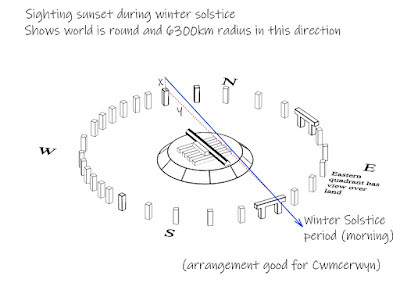 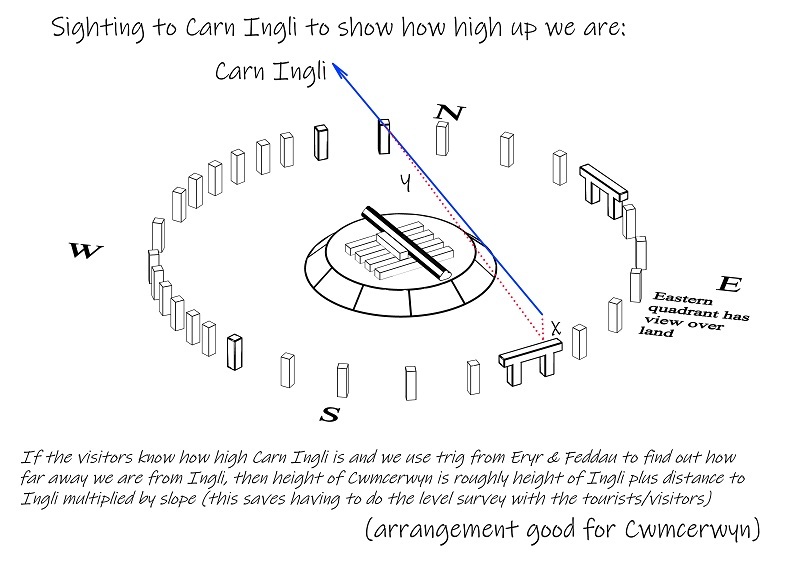 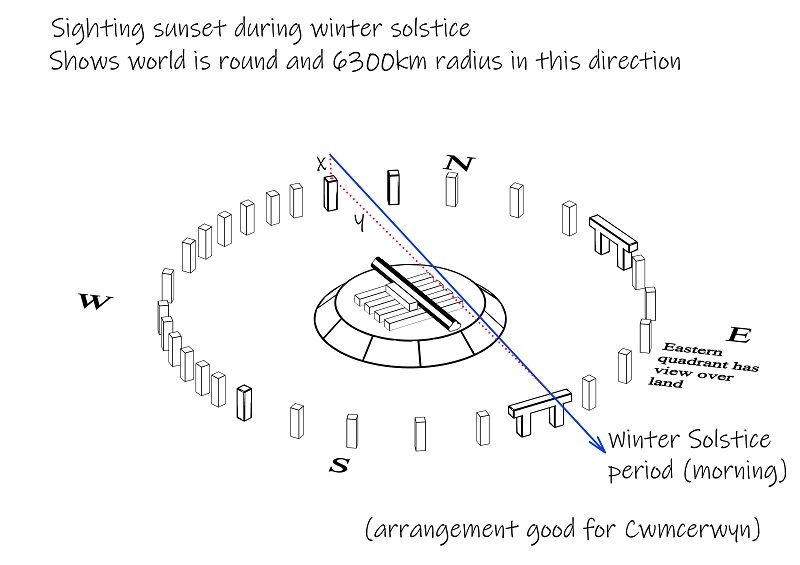 The hypothesis is separate from the main 'geocentric' hypothesis of this blog (that Stonehenge is a simple model of the Earth and its Cosmos). 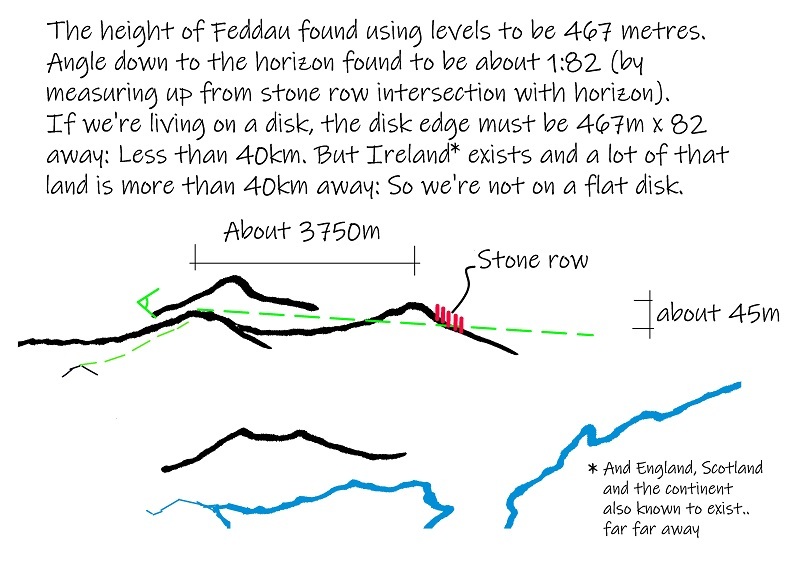 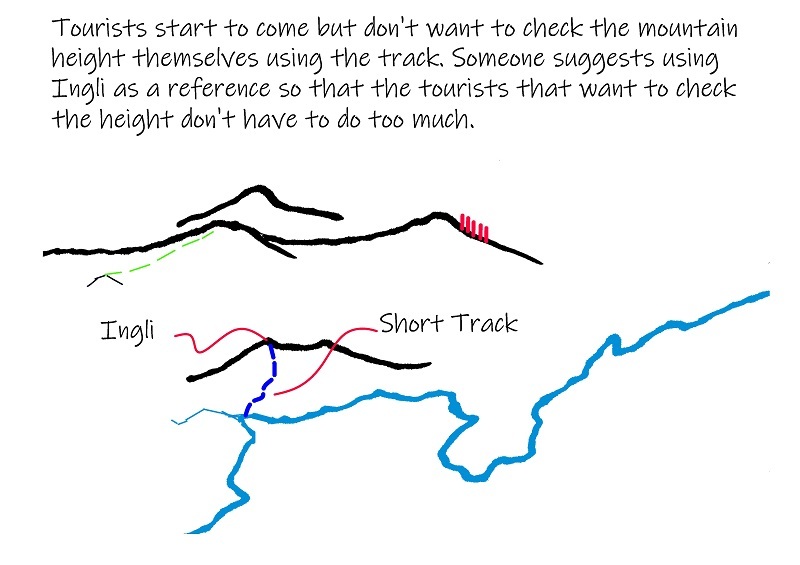 This happens because those two hills happen to be the same height and both have unobstructed views for great distances. 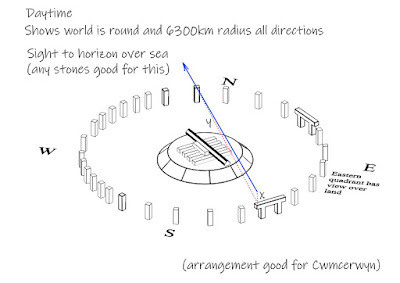 This means that higher mountains to the east do not raise the horizon due to the curvature of the Earth. 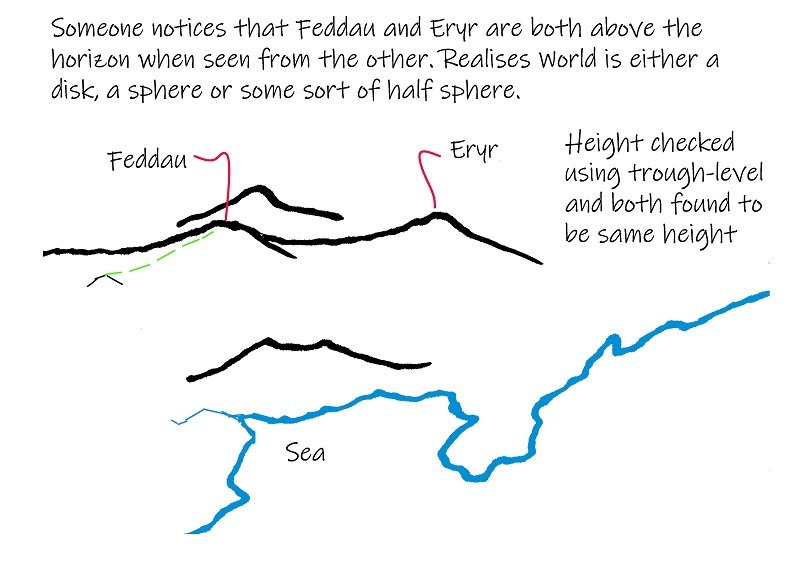 This topographical combination is very unusual. The monument building at Preseli may have started with someone noticing that each hill is above the other when seen from the opposing hill: The two hills are linked by an easy walk along the ridge of this range. 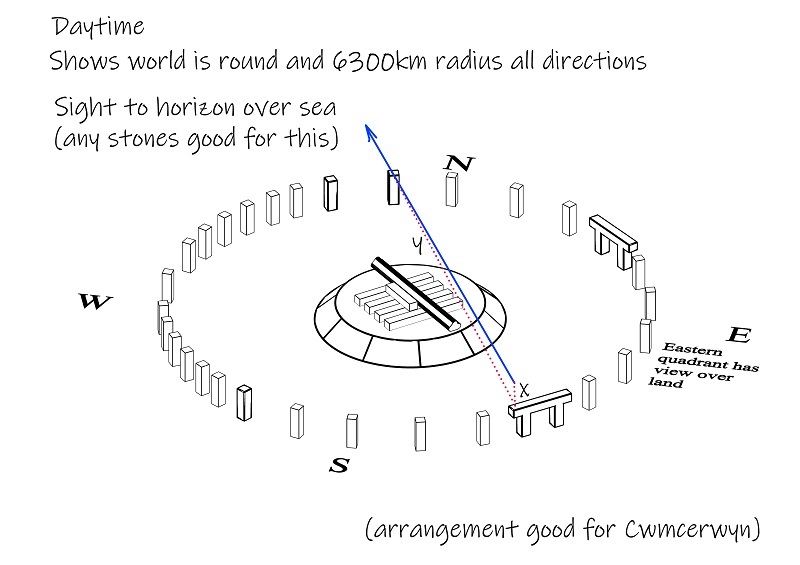 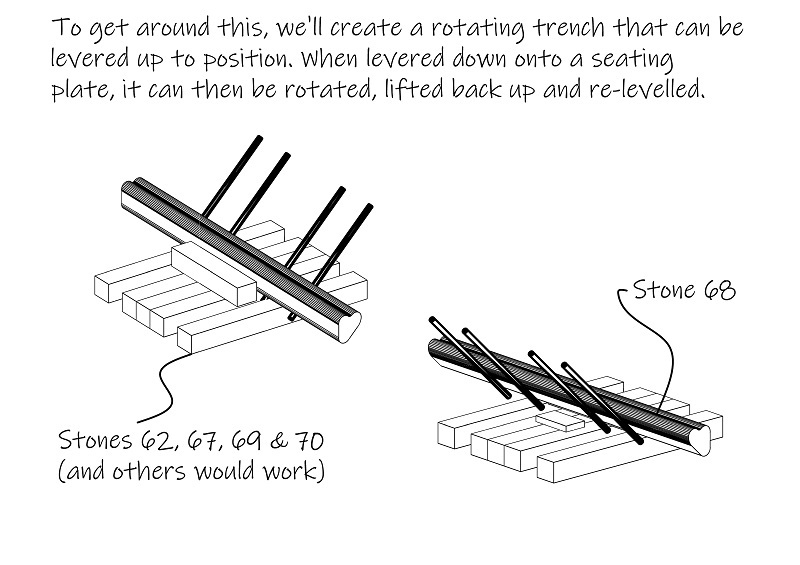 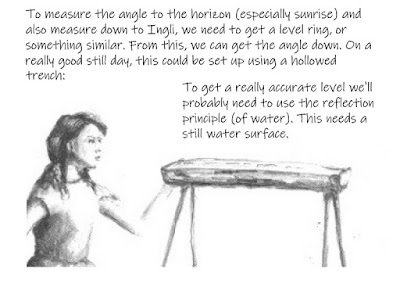 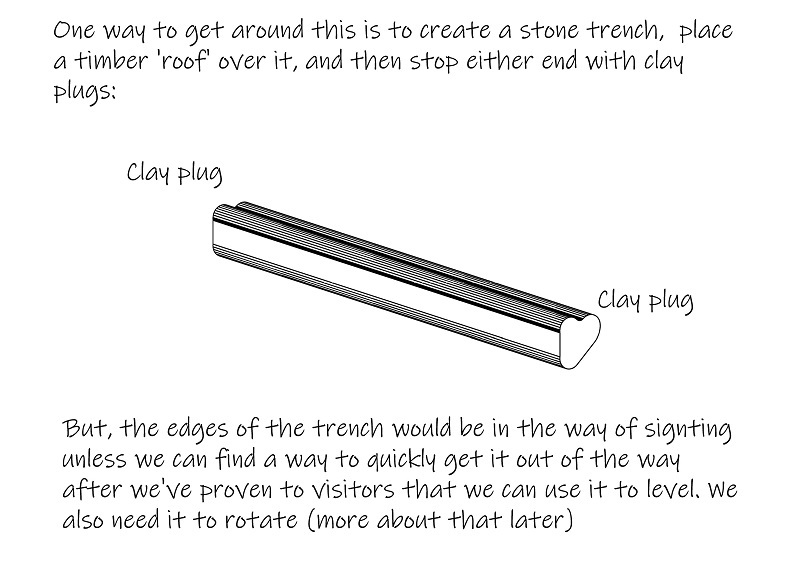 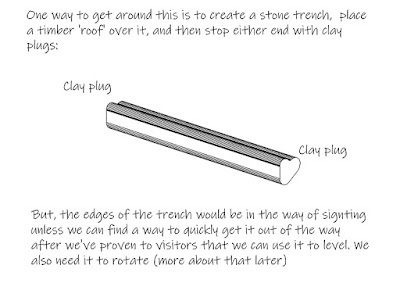 The shaped bluestones of Stonehenge can be assembled into a device that can establish what the size of the world is. 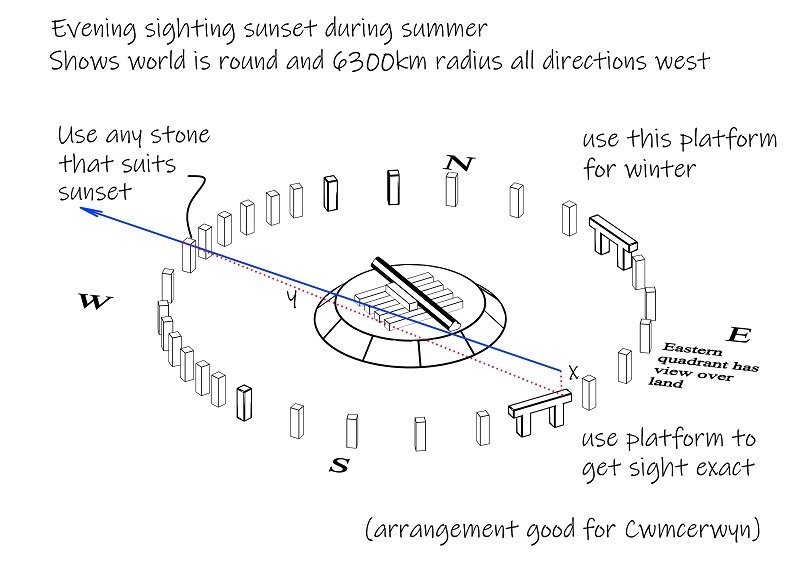 That system would only work at a handful of locations. 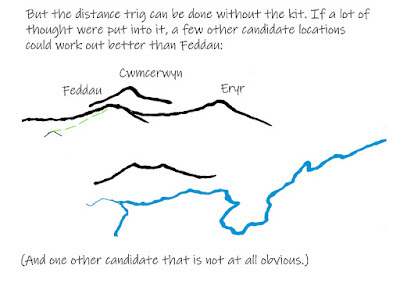 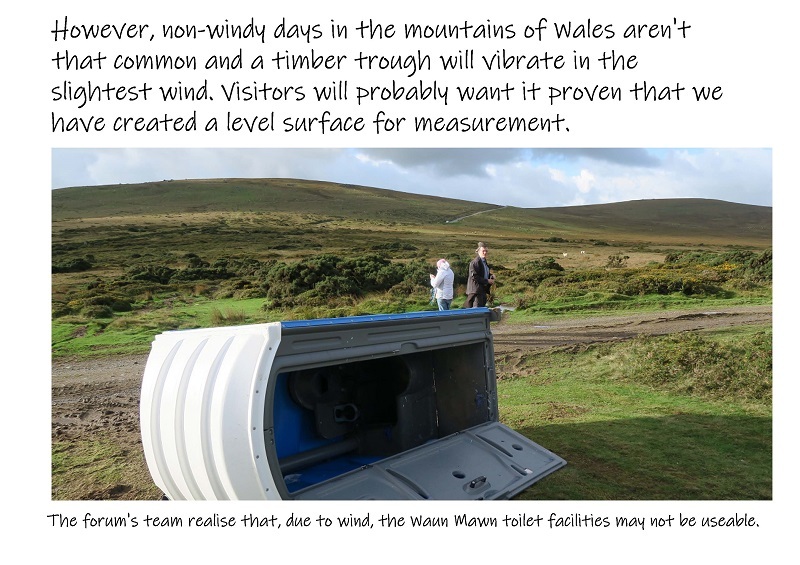 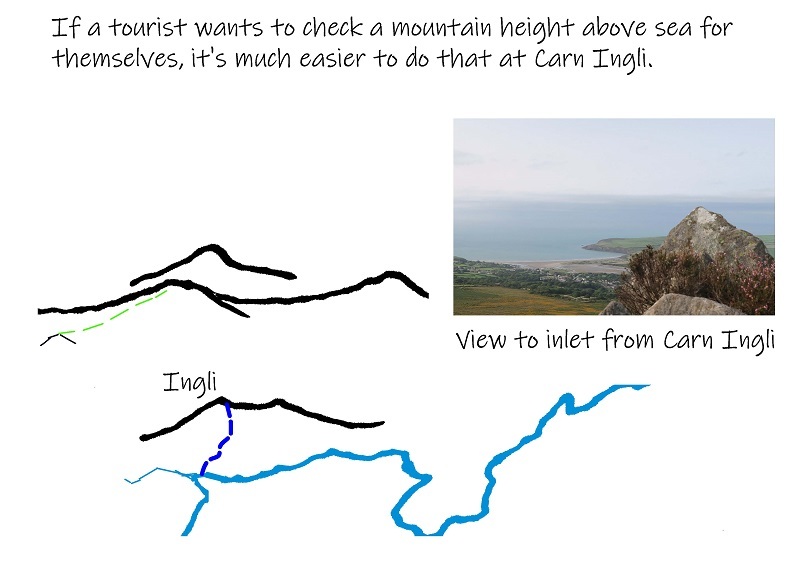 One of those locations is at Preseli; near Waun Mawn. 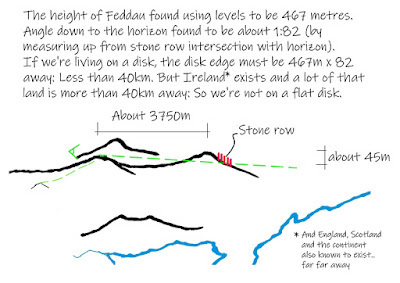 Two or more outliers may exist at this location. 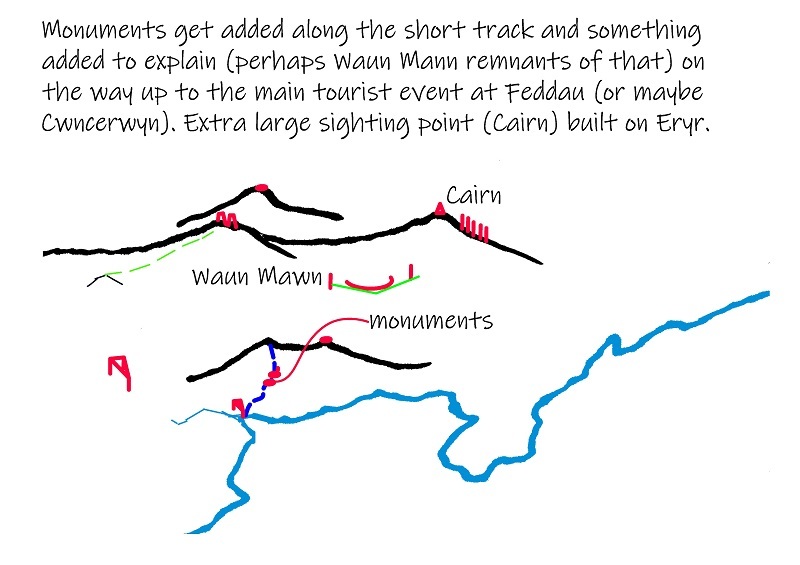 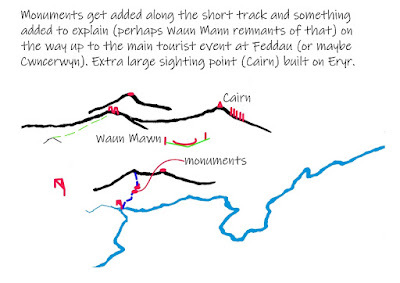 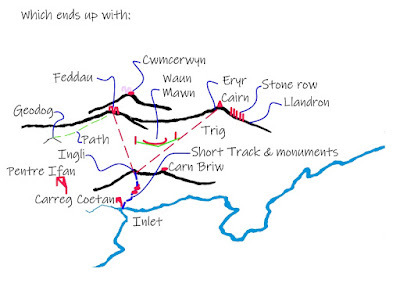 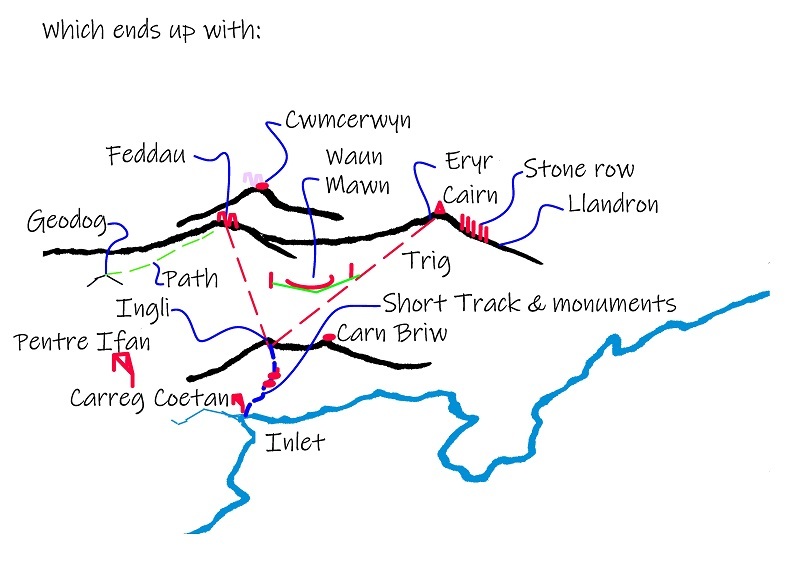 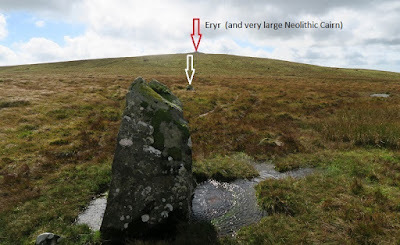 Professor Mike Parker Pearson has found an arc at Waun Mawn; Waun Mawn directly faces Feddau and Eryr. 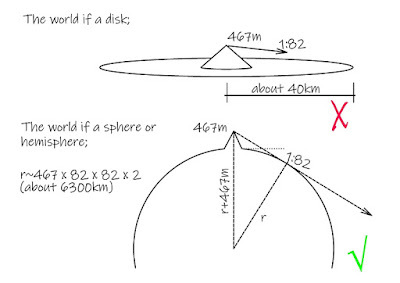 If the intention of this arc was to show how the world's size can be found out, two or more outliers may exist to the east and west of the arc. 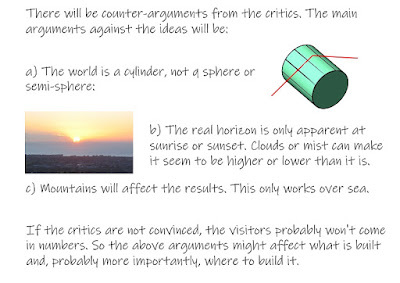 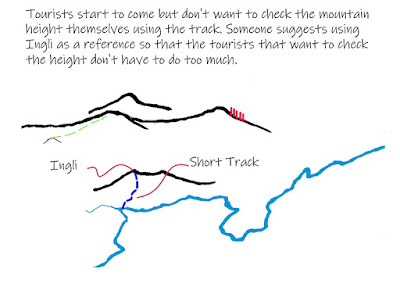 The outliers allow a guide to explain how the Earth's size will be found. Unusual 'dogleg' monument footprint (Feddau) or circular monument (Cwncerwyn). 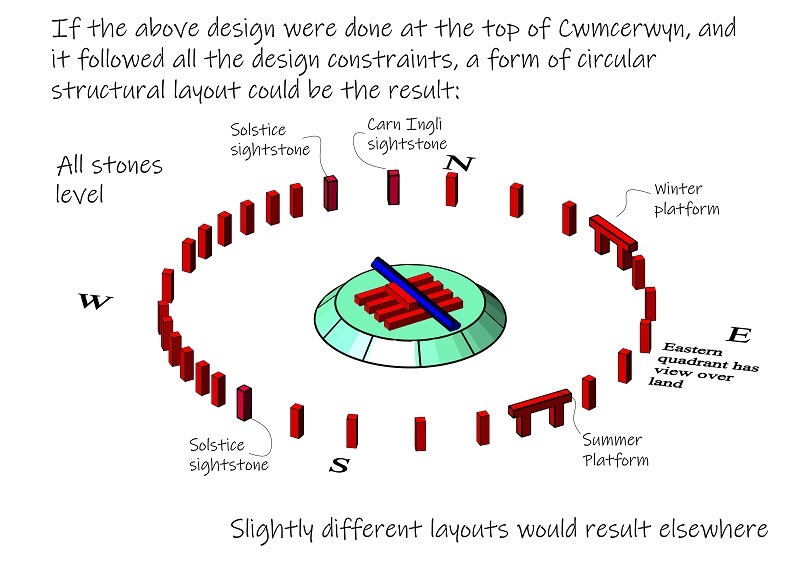 This would be a “Proto Stonehenge”. There are two other potential locations (eg Eryr), so ground scanning would be needed in advance. 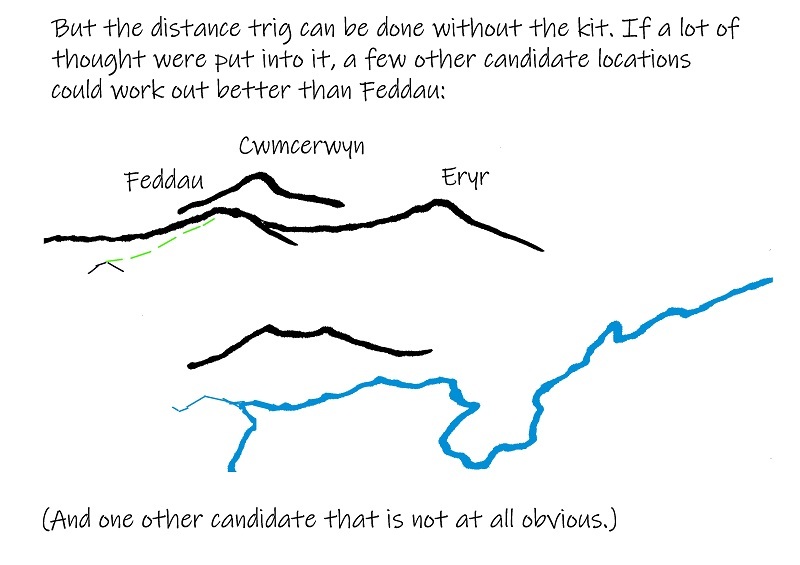 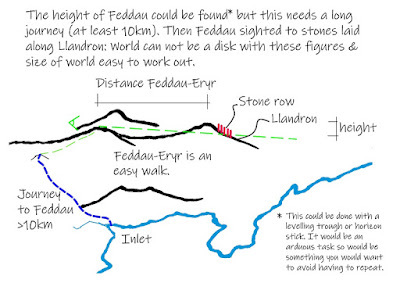 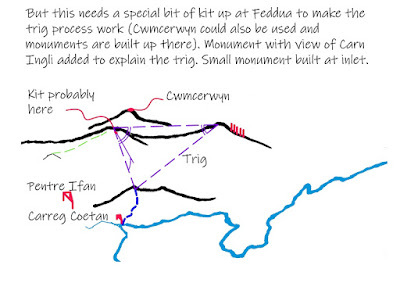 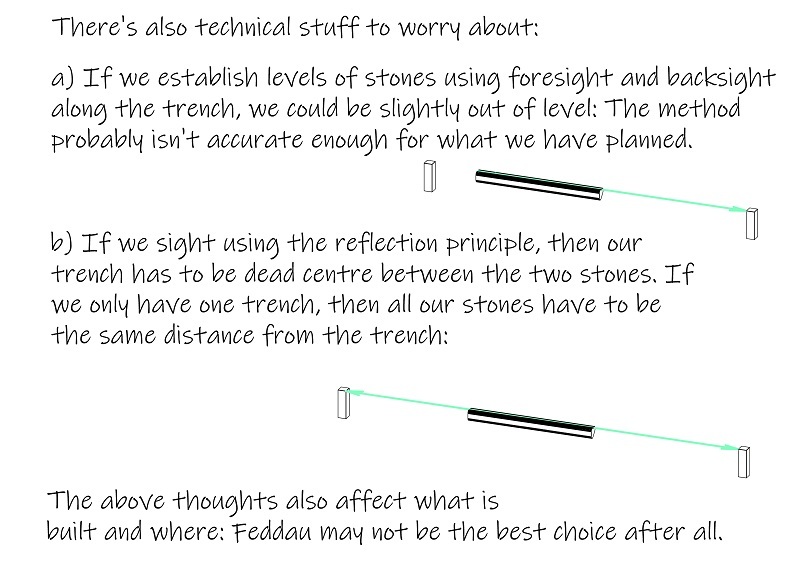 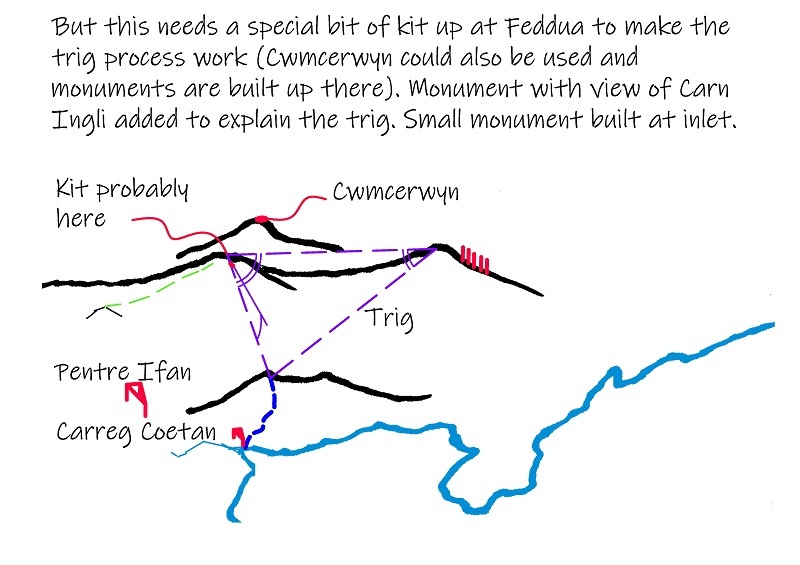 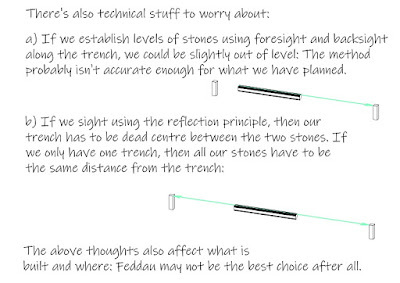 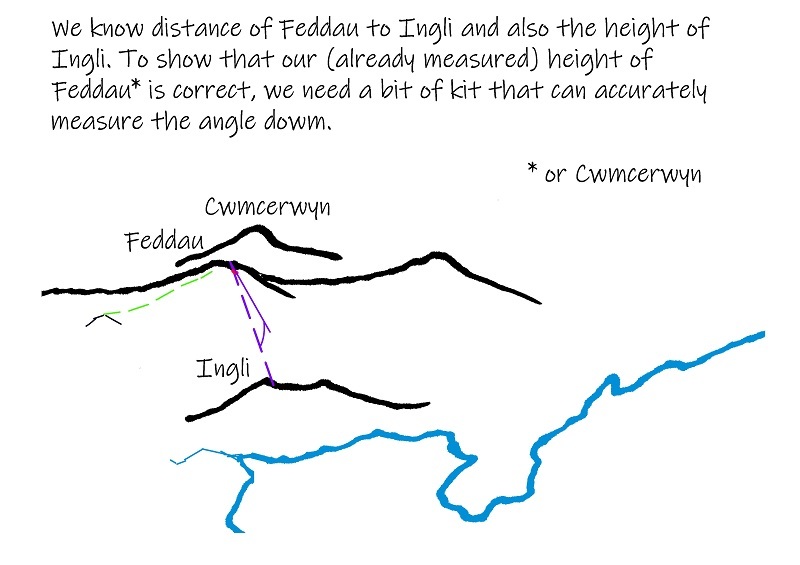 There are four possible locations for this equipment: Feddau, Eryr, Cwmcerwyn and one other that is less obvious (and much less likely). Each location has different topography and this would slightly change the design layout of any stones placed to do the job. The sun is round. 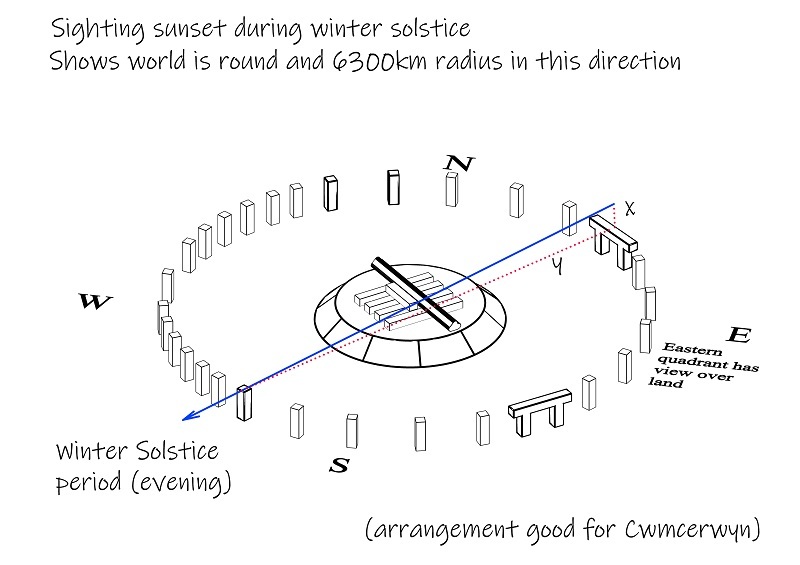 The moon is round. 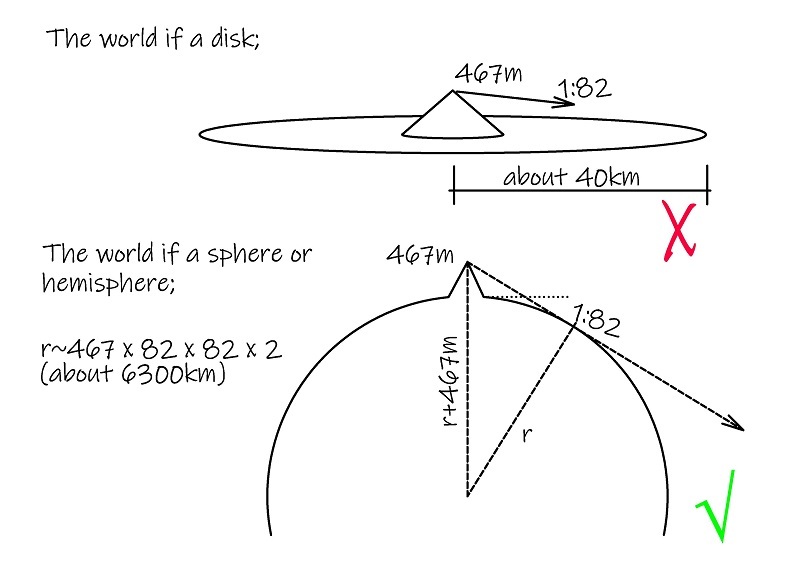 Both clearly orbit the earth in a circular pattern. 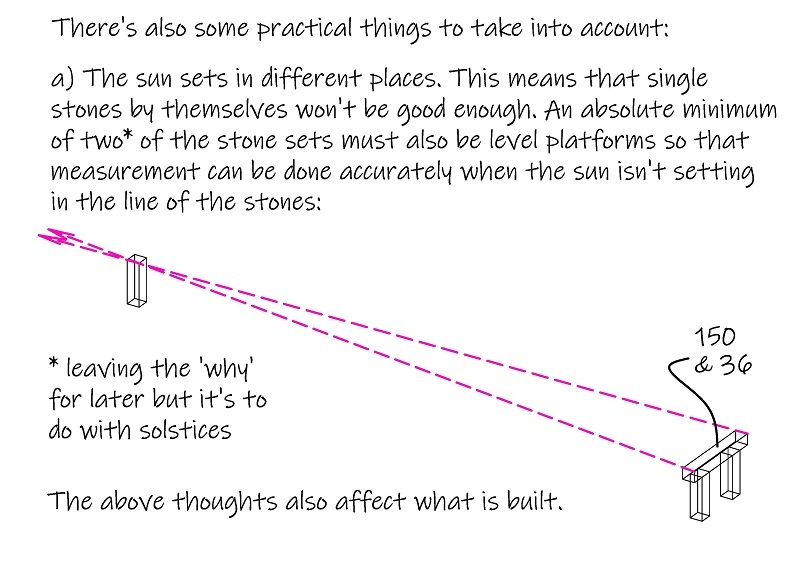 Both appear and disappear on either horizon at predictable intervals. 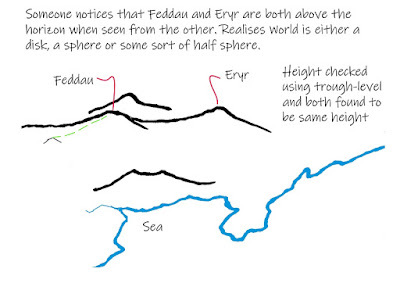 Ergo: The Earth is also round. Your method is most likely how they went about proving the hypothesis.